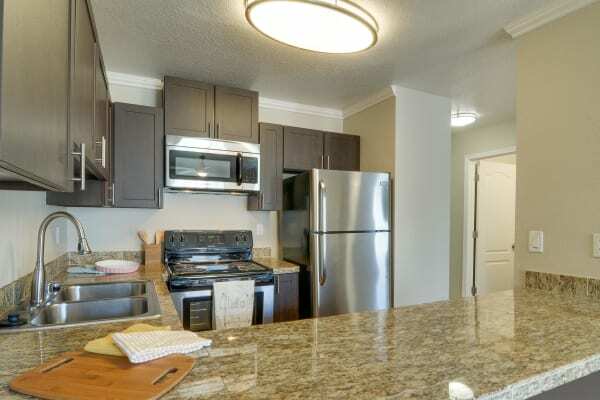 Carriage House Apartments offers a variety of floor plans with one, two, and three bedroom layouts so you can find the space that works for you. Our apartment homes range from 725 to 1,315 square feet and include everything you need to feel right at home. Walk-in closets, private balcony or patio, and fireplace are all standard features in each apartment home. 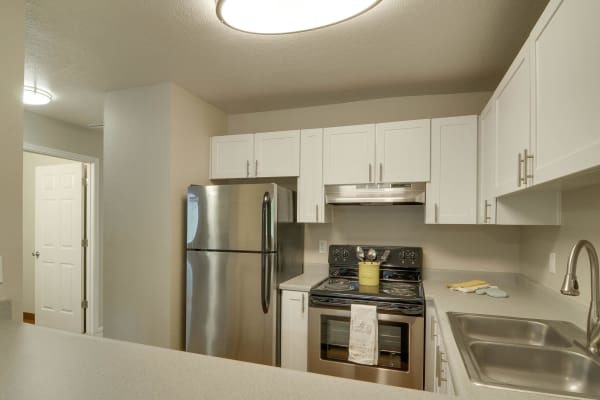 At 725 square feet, our large one bedroom apartments will fit your lifestyle perfectly! Looking for more square footage? Our spacious two and three bedroom floor plans will accommodate you comfortably, with room to spare. Two bedroom apartments are 1,025 square feet and have extra-large living and dining spaces. Three bedroom apartments are 1,315 square feet with a loft space and second bathroom. At Carriage House Apartments, we’ve combined the most essential amenities with upgraded features. From a full-size washer and dryer to a cozy wood-burning fireplace, you’ll be right at home in this modern community. Each of our apartment homes for rent feature a breakfast bar, private balcony or patio, and oversized bedrooms. See for yourself what makes Carriage House Apartments the perfect community in Vancouver, WA. Call us today to schedule a tour.